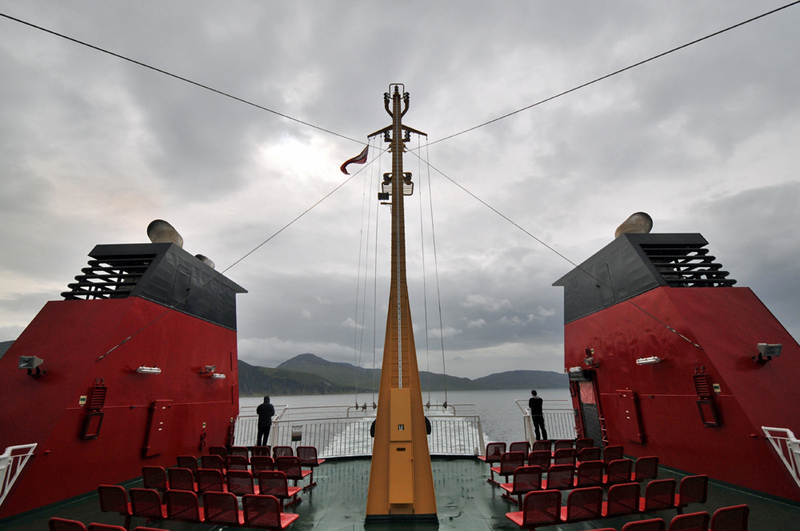 A view from the upper deck of the MV Finlaggan on a cloudy day in the Sound of Islay. Looking back between the two large funnels as we leave Port Askaig in the distance. This entry was posted in Cloudy Weather, Landscape, Repost and tagged ferry, Islay, MV Finlaggan, Sound of Islay by Armin Grewe. Bookmark the permalink.